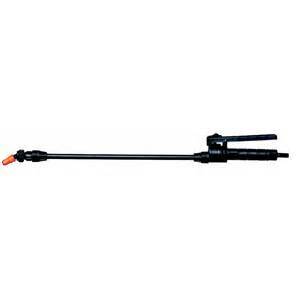 Available with 15″ (381 mm) polypropylene or 21″ (533 mm) aluminum extrension wand. 1/4″ or 3/8″ hose shank connection. Approximate max. hose O.D. – 1/2″ (13 mm). Can be fitted with any standard TeeJet tip. Designed and built for heavy duty service. Stem extends through extension to valve seat located directly behind orifice disc for drip free shutoff and instant operating response. 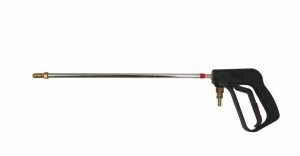 Convenient trigger-lock for continuous spraying. 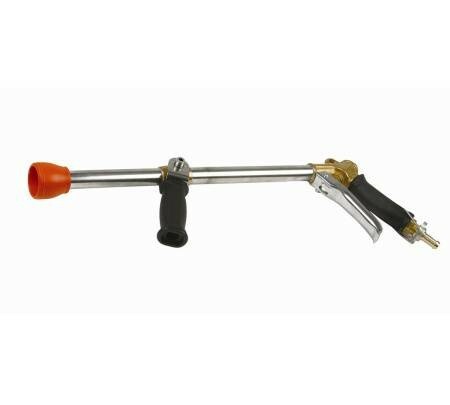 Trigger handle control: ALL MODELS have 1/2″ NPT or BSPT (F) inlest connections. Type 43LC-1/2 and 43HC-1/2 have 1/2″ NPT (F) outlet connections.